Find My Workspace lists over 95% of the business centres market in Flint. Simply click Request Quote to check pricing for one office, or Add to Basket for multiple offices. This business center offers fully serviced office space. Here, you will have the convenience of a fully serviced office with 24/7 access under simple pricing – one fee that includes all. 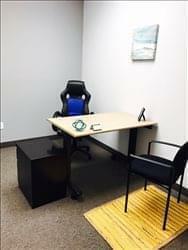 Other amenities include support from a friendly admin team, board room access, car parking, furnished offices, IT support, a kitchen and break out area. To obtain information for your selected Michigan Business Centres, please tick the "Add to basket" box for each office you prefer and complete the form below. We will then send a detailed report via email.